We try to cater for all of our members' and non-members' needs by providing a selection of different pitch types. Across our network, we have over 20,000 pitches. Over half of them are hardstanding. Our grass pitches tend only to be used May to October as they become unusable in the winter months due to the weather. We have objectives in place to ensure that we convert pitches every year (subject to planning), so this number will just keep on growing. These pitches mostly provide all-weather surface and generally an individual ground level inlet to accept grey water. Further shared facilities include illuminated electrical hook up bollard and drinking water. Water hoses should be the same length as the electrical hook up cable (25m). There is an additional charge for this pitch type. Where available, these pitches offer individual facilities, including all-weather pitching surface, illuminated electrical hook up bollard (including booster TV aerial outlet), facilities for drinking water, grey water and chemical disposal, ground level inlet to accept foul water (grey water or sewage) and privacy hedge between each pitch. There is an additional charge for this pitch type. These are pitches that can be either grass or hardstanding, have shared electric hook up and space for an awning. These are pitches that can be either grass or hardstanding and have shared electric hook up. If you do not have an awning please select a 'standard without awning' pitch if available. However, if there are no 'standard without awning' pitches available, you can book a 'standard with awning' pitch without using one. Available at Tewkesbury Club Site only. This pitch type offers a hardstanding pitching area for your outfit with electric hook up. When ground conditions permit, (typically between May and September), or as indicated by the site staff, you may also erect an awning on the 3m grass area within the pitch area however this cannot be guaranteed at all times. Awnings cannot be sited on the block-paved hardstanding area at any time. These pitches are grass and have no electric hook up. They offer extremely good value if you require no facilities to pitch. 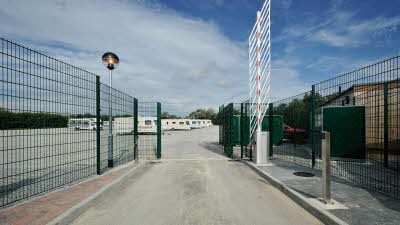 Some sites have the option of non-electric economy pitches with or without awning. 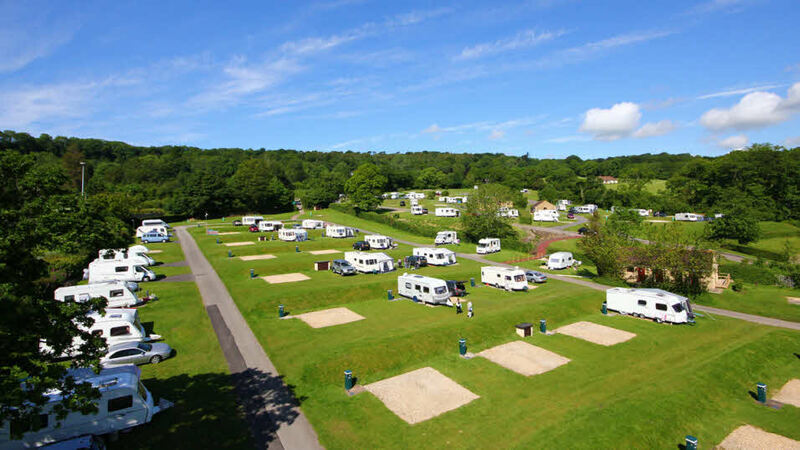 A selection of our sites offer non-electric pitch stays from just £6.20 a night (for one adult and a pitch), providing excellent value for money. On a number of sites, we have some allocated spaces for tent camping. They are usually on grass, and some include electric hook up. You can either book online or call the site direct if you have a large tent or any other special requirements. 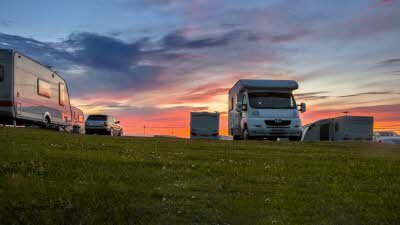 Stay for longer or visit as often as you like on one of our great seasonal pitches.